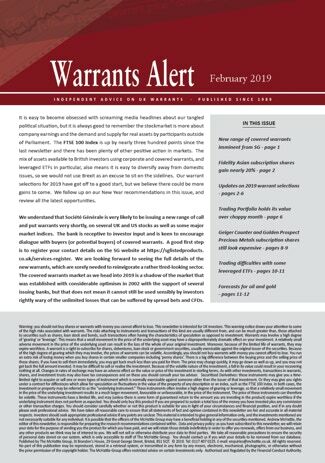 Published every month since October 1989, Warrants Alert offers subscribers a unique insight into investment trust warrants, subscription shares, covered warrants, and other geared instruments. All types of warrant listed on the London Stock Exchange are included. 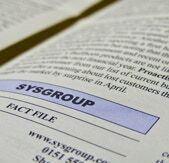 The newsletter is written by the well-known warrants expert Andrew McHattie, our editor since inception. He includes detailed analysis and specific buy, sell and hold advice. His research includes information from many sources including his proprietorial warrant models. We believe the newsletter is essential for all warrant investors, and that no private investor can hope to match our ability for unearthing the best opportunities. We hope subscribers may be able to recoup the cost of the subscription with just one successful warrant investment. Gresham House warrants, one of our recommendations, have risen by 210% in the last year (to 29th August 2018). This illustrates the potential, but of course not all warrants perform so well, and some have fallen in value over the same period. Apple, Fidelity Asian Values, Geiger Counter, Golden Prospect Precious Metals, Gresham House, HSBC, Landscape Acquisition, Lloyds Banking Group, Man Group, Marks & Spencer, Myanmar Investments, Prudential, RBS, Raven Property Group, Rio Tinto, Royal Dutch Shell, Vodafone.